Founded by Alon Cohen, the founder, former chairman and CEO of CyberArk Software (NASDAQ: CYBR), nsKnox combines industry-transforming FinTech with cyber security muscle. Replacing fragmented and insufficient mediums like SMS-based authentication, mail, and voice recognition with a unified, end-to-end transaction approval technique. Empowering banks to better employ new products and services trimming their time to market, promoting flexible and open banking architecture using natural language communication channels such as WhatsApp, email and Chatbots. Offering superior 360º protection for Payment Systems such as RTGS, Swift based and others, preventing advanced fraud and fighting cyber warfare in individual banks and in the global banking system at large. Hackers rely on compromising the weakest link in an organization’s security chain, leaving them vulnerable. 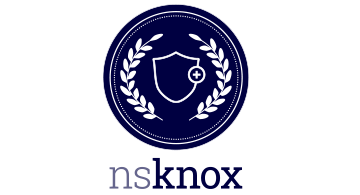 The power of Cooperative Cyber Security introduced by nsKnox is that it forces malicious actors to penetrate multiple organizations in order to gain system access and manipulate data, creating an extremely complex puzzle stronger than any cyber security measures in use today.